In his presentation, Yost will walk through the what, how and why of benchtop/field-testing, which he has conducted on a variety of construction PSA tapes. During this section, Fischer will discuss building codes and its influences on the usage of pressure sensitive tape. Dave Nicastro (Speaker) CEO, Building Diagnostics Inc. 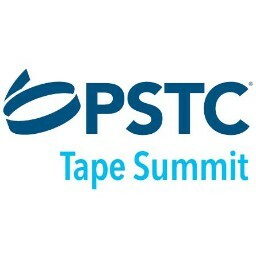 In his presentation, Nicastro will highlight some of the problems with manufacturing, including design and construction issues that can cause premature failures in tapes and flashings. Jon Namba (Speaker) Namba Services Inc.
Jon will discuss the different types of flooring products that utilize PSA'S, subfloor preparation, ambient conditions, and rolling loads, as well as touch on other flooring related tape topics. Erich Klein (Speaker) Kuraray America, Inc.
Evert Smit (Speaker) Head of Research and Development, Lohmann GmbH & Co., KG. In this presentation, Smit lends a European perspective to the building and construction industry. Marine mussels create an array of adhesive contacts (the byssus) to secure themselves to rocks, wood, metals and other mussels in the harsh conditions of the intertidal zone. As the market leader in protective fabrics that supply the apparel market, Milliken & Co. has a variety of tools available to develop flame retardant (FR) technologies that may also provide value in the FR tape industry. Cheryl Saqqa (Speaker) Testing Projects Leader/Quality Manager, Chemsultants International, Inc.